The feminine name Pachem is used in Latin. Other countries in which name pachem being used are . 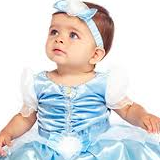 Pachem is not very commonly used baby name for girl. It is not ranked with in the top 1000 names. is Kanya and Moon sign associated with the name Pachem is Virgo. The name Pachem has Earth element. Mercury is the Ruling Planet for the name Pachem . The name Pachem having moon sign as Virgo is represented by The Virgin and considered as Mutable . Normally, people with the name Pachem listen to their heart rather than using their brain. Such people are shy and hesitant. Please suggest meaning of name Pachem in other country, history of name and famous personality with name Pachem or you like to put your any comment/suggestion on this name for other visitors. We have received lots of suggestion from our website users on baby names. We are thankful for all the contribution on meaning of girl name Pachem. What does the name Pachem mean in other origin if you know then please suggest. Further suggestion or detail on what is the meaning of name Pachem. History of name and famous personality with Pachem will help to update our database and other website users.